The road to national recognition as a mathematics educator was hardly straight for Beisiegel, who failed calculus as a first-year psychology major at Portland State University. After getting the hang of calculus and eventually earning a master’s degree in mathematics from Virginia Tech, Beisiegel followed her Alberta-born husband Dave to Edmonton and decided to pursue a master’s degree in statistics at the U of A. Though she earned a graduate student teaching award, she also realized statistics might not be her true calling. Beisiegel says it was in her first class with elementary education professor Lynn McGarvey where she realized pursuing her PhD in mathematics education was the right decision. McGarvey wrote a simple addition problem on the board, then got students to show how they arrived at the solution. Among a class of 16, there were no fewer than eight different methods used. 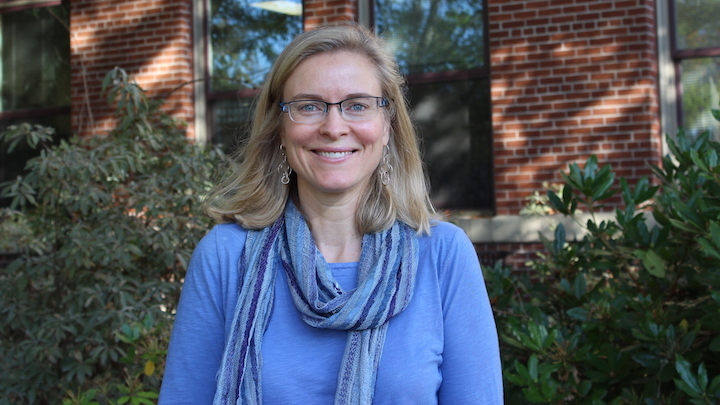 In her own classroom, Beisiegel encourages prospective math educators by practicing what she preaches—she emphasizes active learning, limiting lectures to make time for doing math in class, allowing students to arrive at solutions themselves, and revisiting her own methods and pedagogy frequently. Elaine Simmt, who was her doctoral supervisor at the U of A, says Beisiegel was committed to this approach early on. “I was not surprised to learn that Mary had won this award but I am extremely pleased she did. She understands that the university instructor has a responsibility to create spaces for her students to learn. Her empathy for learners is evident not only in her teaching but in the choices she makes for her research,” Simmt says. Beisiegel’s contributions aren’t limited to teaching and research. She and her husband have given back to the U of A in a very tangible way by helping to fund a mathematics education scholarship in memory of Julie Long, a fellow doctoral student and friend of Beisiegel’s who became a professor in the Faculty of Education. Long passed away in March of 2016 from cancer. The Beisiegels’ donation provided much of the endowment required to provide an annual award in Long’s name in perpetuity. “She was a fantastic human being and so passionate about mathematics and learners. She was a really patient and gracious and funny and warm and I learned a lot from her,” Beisiegel says. “I just thought people needed to remember this really special person who I felt contributed a lot to the math education community at the U of A.